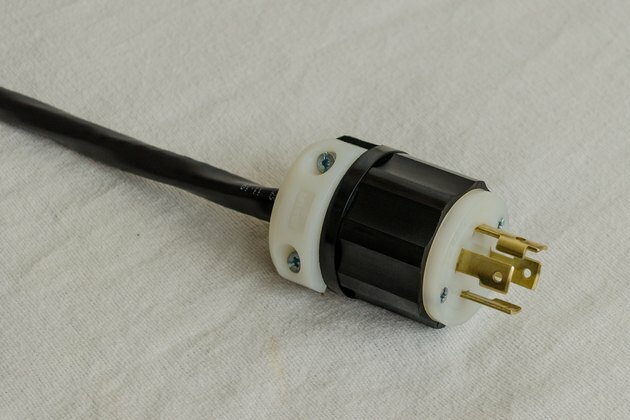 The standard 240-volt portable-generator plug is a four-wire NEMA L14-30 plug that can be found in most hardware stores. The four wires consist of two "hot" wires (which are normally black but are sometimes red); a "neutral" wire (normally white); and a ground wire (usually green). To make your installation easier, check your generator owner's manual to ensure that a NEMA L14-30 will fit. 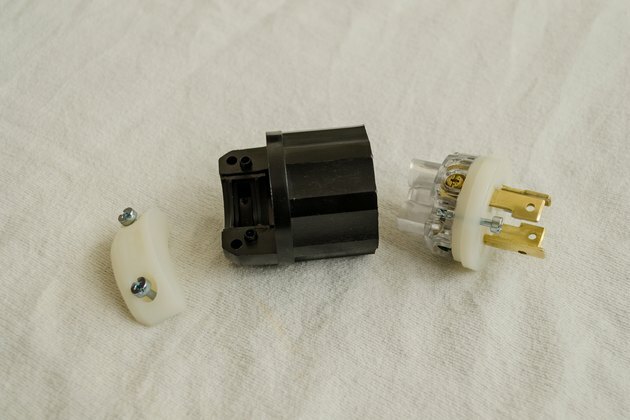 Remove the screws from the plug and remove the cover. 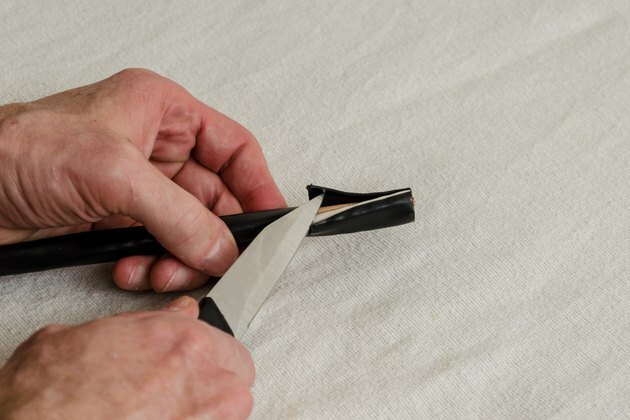 Use the knife to remove the outer covering on the cable, so the four inner wires are 1 1/2 inches in length. 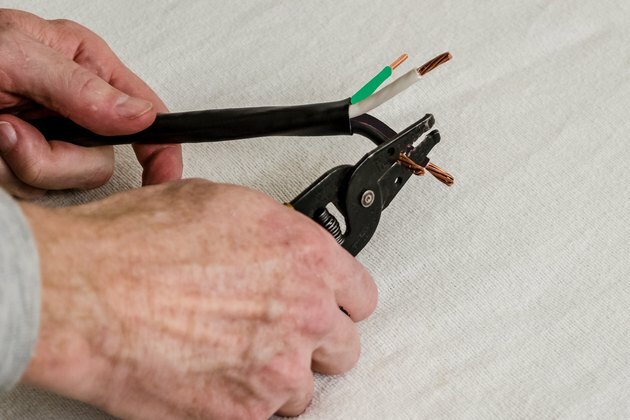 Use the wire strippers to strip a half-inch of insulation off each of the four wires. 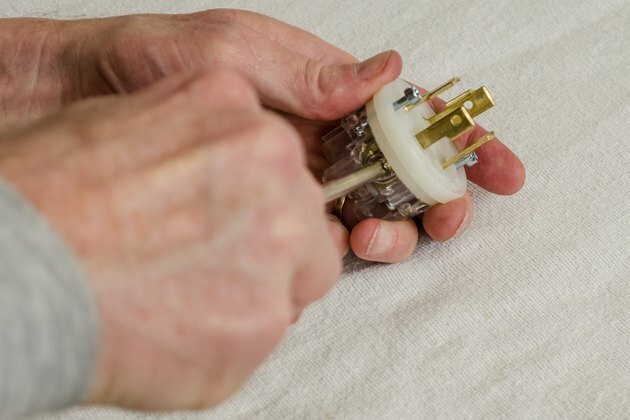 Loosen the screw connectors on each of the four prongs of the plug with a screwdriver. 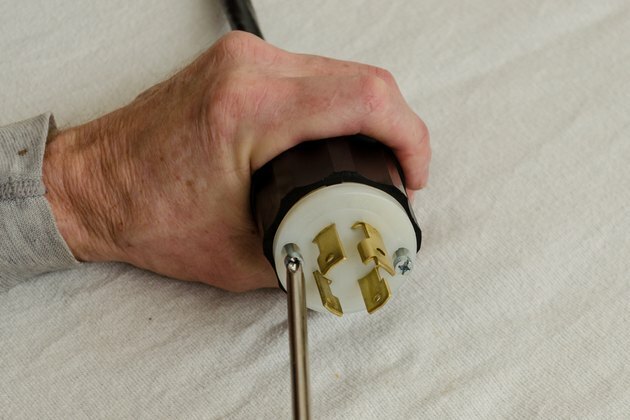 Place the black wires under the screw connectors on the "hot" prongs and tighten them with a screwdriver. 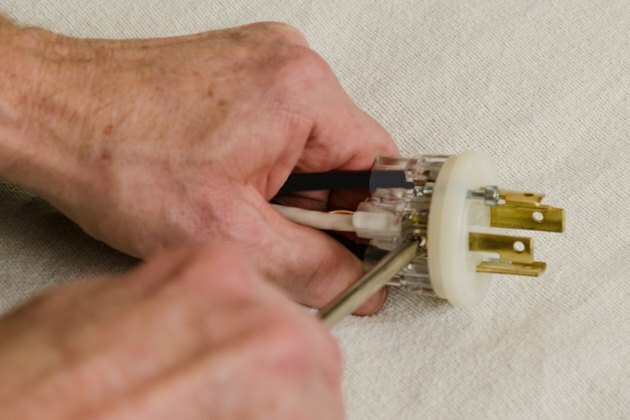 Place the white wire under the screw connector on the "neutral" prong and tighten it with a screwdriver. 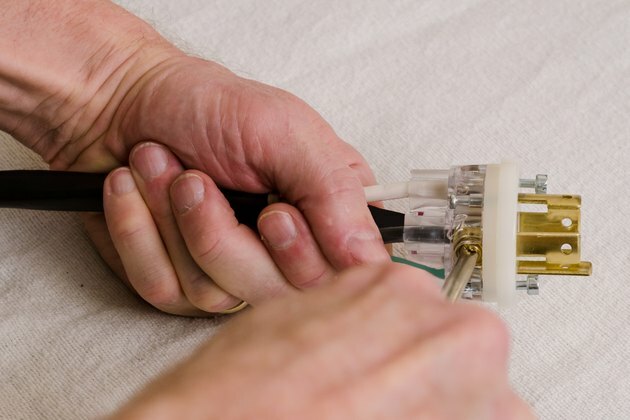 Place the green wire under the screw connector on the "ground" prong and tighten it with a screwdriver. 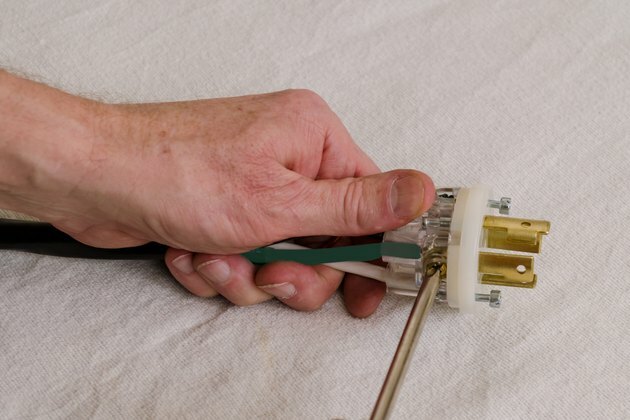 Replace the cover and tighten the screws with a screwdriver.